Does your company have a workplace giving program? You may or may not be aware, but many companies offer options for employees to give back to their community. When you do make a donation or volunteer for your favorite non-profit (in this case Denver Audubon), the company will contribute based on your volunteer hours or match your donation. You can find out from your human resources office if your employer offers a matching gift program and discover if your time and/or contributions can be matched to support birds, habitats, and our school and public programs. 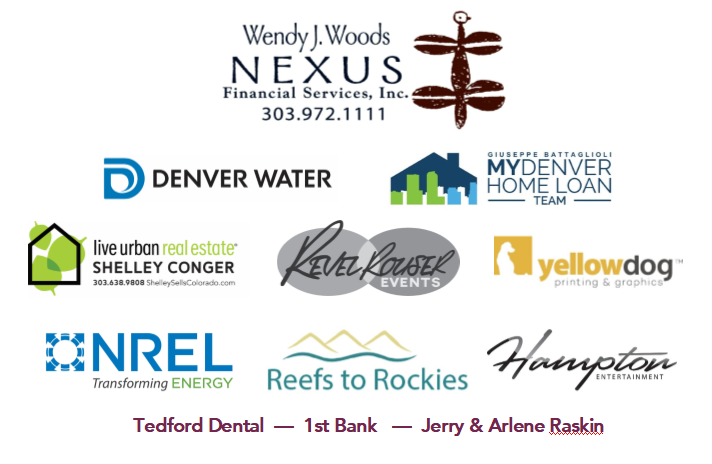 Here are just a handful of companies that offer a matching program: Xcel Energy, 3M Foundation, Albertsons, Alcoa, Allstate, AT&T, Auto Nation, Avon Products, Best Foods, BF Goodrich Aerospace, The Boeing Company… You get the idea so best to check with your human resources department! Denver Audubon offers an opportunity for you to make a gift or bequest to leave a legacy and a lasting impact. We invite Friends who share a commitment to educating all ages about birds, other wildlife, and habitats to consider making a personal investment in the future of our programs. Options include bequests, retirement accounts, pension plans, insurance, charitable gift annuities, and stocks. Visit our Planned Giving webpage for more details and informational resources from Community First Foundation. We often receive bequests from people whom we have never had the opportunity to thank. If you include Denver Audubon in your estate plans, please let us know. We value the opportunity to express our gratitude in person to let you know that your gift is greatly appreciated now and for future generations of people and birds to come. Why is an Endowment so Important? It helps our long term financial stability and strengthens the organization. Once certain thresholds are met in accordance with the Endowment’s Governing Rules, it can help fund new programs and services. Financial stability and strength helps in garnering other funding opportunities. It is important to realize that a healthy endowment is not a luxury; it is a necessity for our future. Since 1969, Denver Audubon has provided high quality educational programs, spearheaded major conservation victories, and supported valuable research projects on non-game wildlife. With your contribution in this special situation, you are investing in the future of Denver Audubon’s financial welfare, helping greatly in our being able to provide many more years of programs, conservation, and research. If you would like to contribute to our endowment, visit Colorado Gives and in the Special Instructions field, specify that you would like your contribution to go toward our endowment.